Move over expensive electric amplifiers and bluetooth speakers, this natural bamboo(m) amplifier is in. 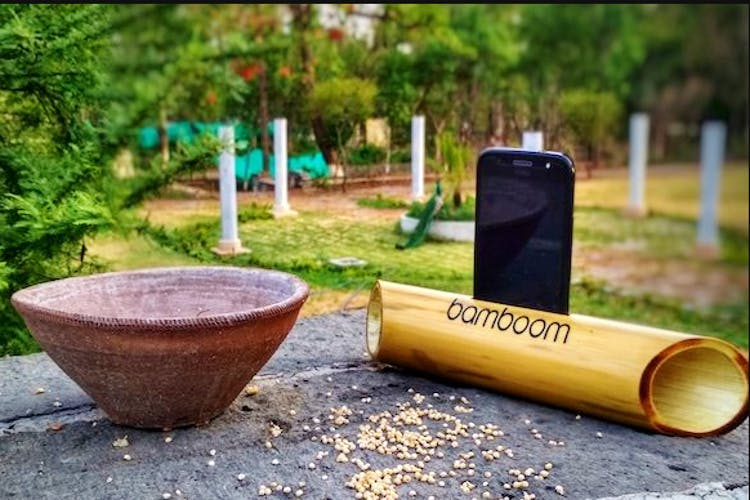 Made entirely out of bamboo, the Bamboom sound amplifier is handcrafted by tribesmen of Jhabua in Madhya Pradesh. House party comin' up and your folks love their music loud? No worries, just dock in your mobile phones and enjoy the effect of the sound boost. You can also revel in the natural goodness and amplification of the bamboo as well as use it for Skype chats. That's not all, it is also a hands-free device to tune in to while driving, as it needs no electricity either. Besides, it is totally recyclable. If that doesn't excite you, we don't know what will. The fact that it only costs INR 490 and is so budget friendly, perhaps?Check out the amplifier on their website — Jhabua Naturals, which is a social entrepreneurial venture that aims to promote the skills of the tribals in India and help them with employment opportunities. Contribute to a cause, and get yourself a unique party item now!